Giveaway ends January 22, 2013. 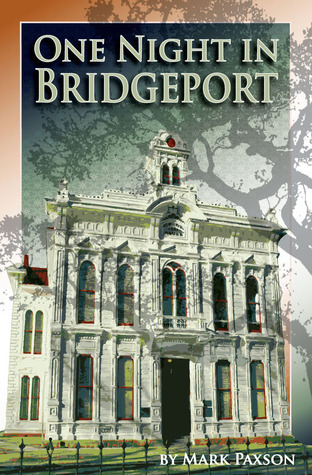 This entry was posted in Uncategorized and tagged Give-away, Goodreads, One Night in Bridgeport. Bookmark the permalink. Yes it is … and so far not one of them has bought a copy of the book. I’m sure that once they don’t win a free copy, they’ll be flocking to Amazon to purchase their own. 🙂 We’ll see what happens in the next few weeks. You never know 😉 If you aren’t using a random method to pick, you should pick someone you don’t know through blog or real life… Might help spread the word! Goodreads controls the selection of the winners. If nothing else 239 (at least at the moment) have taken a look at the book. They wouldn’t have looked at it otherwise. Interesting. The wording when I signed up made it sound like it could be random or it could not be. Definitely worth the exposure, I’ll do the same thing someday… And, btw, looking forward to your release of Weed Therapy, traditionally published, of course! Yes … traditionally published. My 2012 experience with self-publishing has convinced me that I don’t have the time, energy, or personality for that type of endeavor. Of course, if I fail at ABNA and can’t get an agent or publisher for Weed Therapy, a year from now I may be singing a different tune again. If you follow Carrie Rubin, you should also pick her brain. I believe she entered the publishing biz with much more of a plan. The right person, with the right time, and the right type of energy and effort can make self-publishing a success. Not sure I’m that person. Interesting, will have to check her out. Not sure I’m the right person either, but maybe someday.